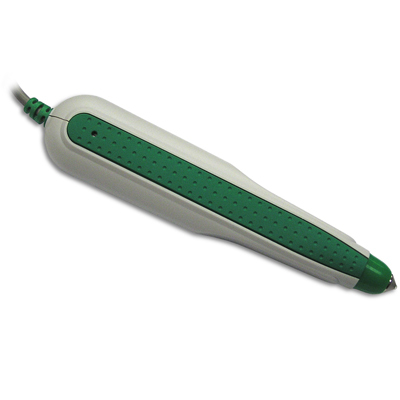 EconoWand is a low cost handheld wand that enables quick contact scanning of virtually any length. The hand-held wand is comfortable to hold and use. The scanner decodes all popular bar code symbologies and outputs the data in user programmable formats, including postamble, preamble, and code ID's. A beep tone indicates successful bar code reads. There are no moving parts, and the EconoWand comes in rugged stainless steel housing.